To describe the late Vivianna Torun as a silversmith, is both entirely true, and a great oversimplification. Indeed, Torun, as she came to be known, was the most accomplished Swedish, female smith of the postwar era, but as much as her craft it was her very being—her vibrant and untraditional life—that made her a remarkable artist and woman. Born into a creative family in Malmö, Sweden in 1927, Torun began experimenting with jewellery in her early teens, and she went on to graduate from the Academy of Industrial Arts in Stockholm in 1950. It was in the mid 1950’s, when she moved to Paris and frequented the Salons of Picasso and Matisse, that Torun made a name for herself with a clientele that included the likes of Billie Holiday, Brigitte Bardot, and Ingrid Bergman. Despite her high-profile customers, it was Torun’s intent to create so-called “antistatus” jewellery that was an unmistakable rebuke of the flashy and ostentatious. Foregoing gem stones in favour of pebbles and other humble ornaments, Torun’s designs were crisp and modern, inspired by nature’s essential shapes and interpreted in a contemporary way that was entirely her own. Convention, was not a concept that Torun valued in her work or in her personal life. The latter included three marriages, and an eventual move to Jakarta to be near the origins of the Subud spiritual movement that she followed, while always living according to her own set of rules, up until her death in Copenhagen in 2004. 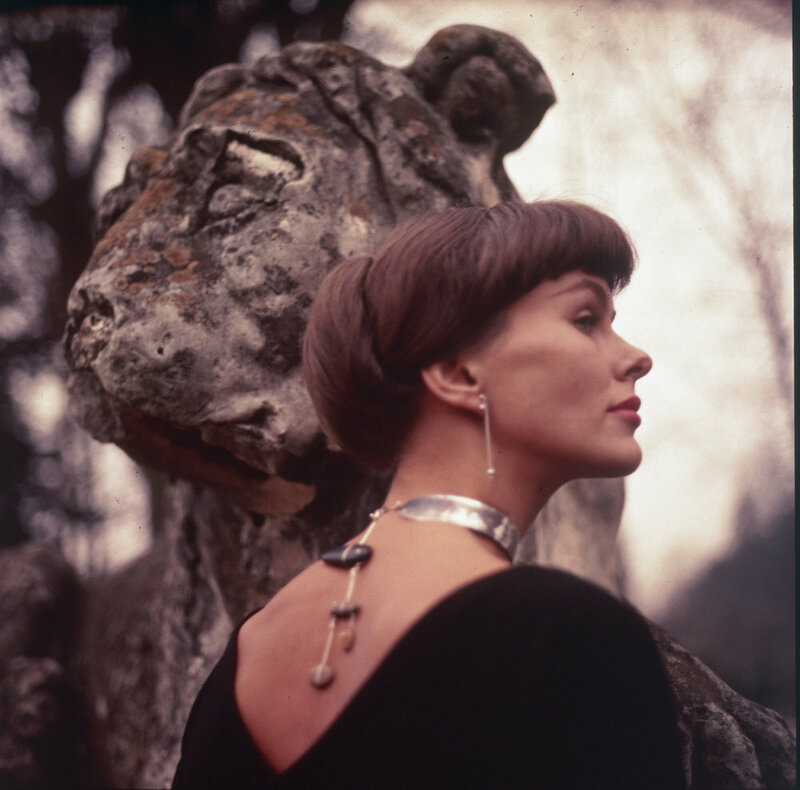 To be sure, when Torun began collaborating with Georg Jensen in 1967, she brought with her a fresh, invigorating perspective, and bestowed the brand with groundbreaking designs that have proven their power over the course of five decades, and counting. From her iconic stainless steel Viviana Bangle Watch, to the breathtaking geometry of her Möbius jewellery collection, in Torun’s designs one finds a bewitching paradox: they are both timeless, and entirely of the moment. This ability, to instill in her work a kind of design purity, or integrity, that transcends time and place, is perhaps the result of Torun being a very rare hybrid: both an exceptional maker, and an enduring muse, who instilled in her work the same irresistible irreverence with which she lived. To say simply that Torun and her designs continue to inspire us here at Georg Jensen, would also be a bit of an oversimplification. In fact, her essence the fearless and innovative approach to her craft, and her every day that is at our very heart, and so too is Torun.